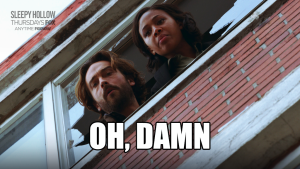 Sleepy Hollow season 4 is not going to be the same show that fans fell in love with. In case you haven’t watched all of season 3, there are massive spoilers ahead… not that I am spoiling anything, the writers did that well enough on their own. For starters, Abbie Mills is gone. 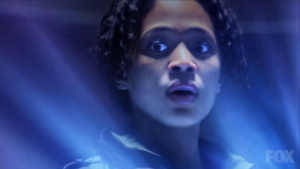 Abbie wasn’t just a character on the show. She wasn’t just a lead. Abbie Mills was the audiences viewpoint into this strange world of Sleepy Hollow. She was the normal person. The skeptic. The clear head in a world where things were far from normal. She was the lens through which, we believed the rest of the show. Without Abbie Mills, the show just doesn’t work. Next, the Headless Horseman is gone. To be honest, Headless wasn’t really a part of season 3. But maybe that was a part of why season 3 wasn’t that good. 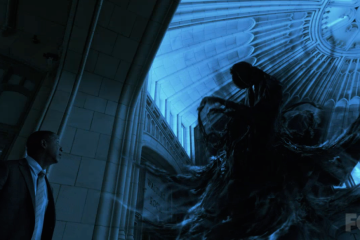 Headless was far better then Pandora and the Hidden One. Fourth Daniel Reynolds and Sophie Foster are no longer part of Sleepy Hollow. To be fair, Sophie Foster will appear in a couple episodes in season 4, but for the most part, they are gone. This one isn’t a huge deal. Both of these characters seemed to have been thrown into season 3 to beef up Abbie Mills FBI storyline, and both characters seemed to have been written half hazardly and added to episodes only as an afterthought. 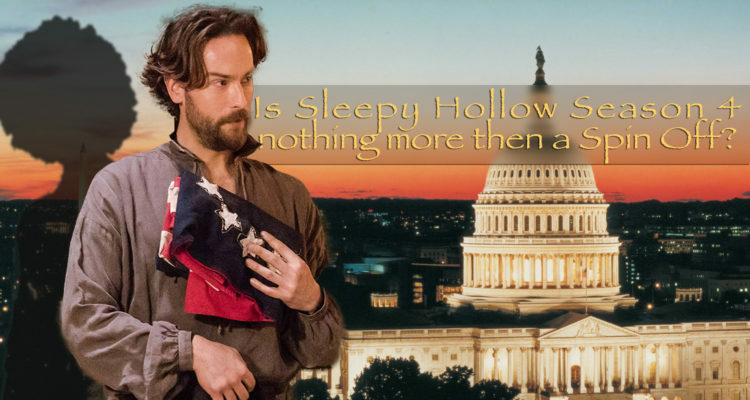 Fifth, Sleepy Hollow season 4 will not take place in Sleepy Hollow. That is correct. No Abbie Mills, No Headless Horseman, No Sleepy Hollow. Season 4 will take place in Washington DC. In fact, casting notices have leaked online for the 4th season of Sleepy Hollow, and it looks like there will be Ichabod Crane, an eager research analyst named Seth, a female MacGyver named Rosa, and a new, ethnically diverse female character named Anna to replace Abbie Mills. Apparently someone at Fox thinks everything will be okay if they just cast another black woman to replace Abbie Mills… they all look alike anyway, right? Anna is a single mother and a former military officer. Currently, she has Fox Mulders old job and works on supernatural cases from an office in the Secret Services basement… (really). Anna (Mills) is a born leader with a soft side that is rarely seen by others. She has a take charge personality, and a sense of humor. Crane appreciates and respects Anna’s devotion to to her 11 year old daughter Stella (because we need a cute kid to… and maybe a puppy). 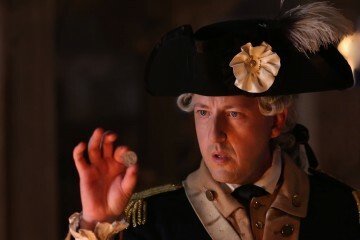 I seriously wonder why they are still calling this show Sleepy Hollow. It has now become a nothing more then a spin off. Here are a few name ideas for this new show they are making (since the writers clearly aren’t very imaginative…) “How about Ichabod Crane Goes to Washington”. Maybe “The 1776 Files”. Or how about “The Tom Mison Spooky Hour”. Whatever they call it, tune into to see the train wreck that will be Sleepy Hollow season 4 on Fridays at 9 p.m. ET starting in early 2017 for a 13 episode run… or don’t. Give us fans a chance to watch it before you bash it.